In the morning, we hosted a very, very special #CruiseChat with Executive Chef Robert! We had dozens of Twitter users ask questions, and Chef Robert answered them personally through the Azamara Quest's Twitter profile. Then we were off to explore Monterey, California. What a beautiful place. 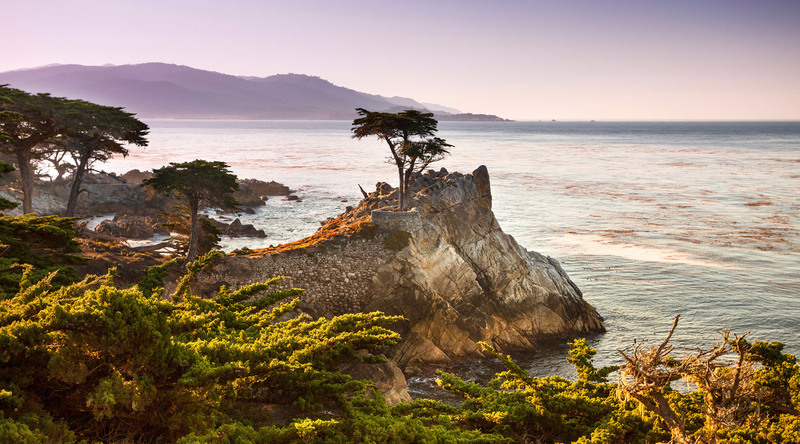 Some guests went on Azamara Shore Excursions to Pebble Beach, the quaint town of Carmel, and the famed 17 Mile Drive. We took a scenic drive up Highway 1, which hugs the spectacular California coastline. We made sure to stop plenty of times to take photos of the breathtaking views of the mountains, cliffs and beaches. We got to see the famous Bixby Bridge, built in 1932! Our tour had time to stop for a relaxing drink at a local Big Sur restaurant, which boasts gorgeous cliffside views. And then we got to enjoy a sunset as we drove back to Monterey, and walked along Fisherman's Wharf after dark. Our next day takes us into San Francisco, bright and early in the morning! Stay tuned to the blog, and make sure you’re following the Azamara Quest on Twitter.